These cute birthday borders can be used in multiple ways. 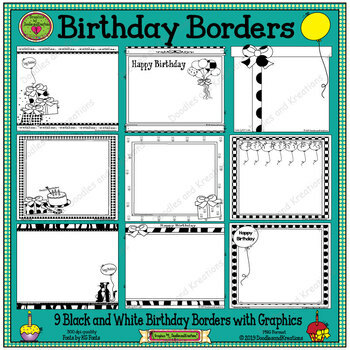 The black and white borders are great for student worksheets and activities. 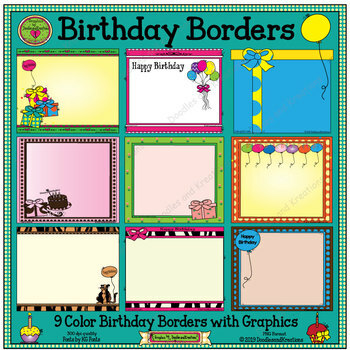 The color borders are perfect for creating birthday greetings. The sets coordinate with our Birthday Bears Clip Art Set.